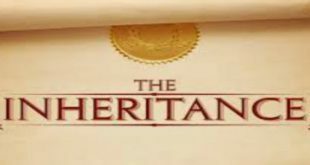 Home | Fatwa | Inheritance | Bequeathing assets during one’s lifetime? Bequeathing assets during one’s lifetime? I am busy preparing my Shariah compliant will and would like to confirm a few questions. I wish to bequest my house and a car (I own 3) to my wife now while I am alive to be effected upon my death and thereafter wish for the remainder of my assets to be allocated to my beneficiaries in accordance with Shariah law. I have been advised that a bequest can be made while alive however there is a limit in terms of what I bequest. Is it Islamically allowed to bequest assets and if so what is the monetary limit? a) You cannot bequeath more than one third of your estate. b) You cannot make a bequest in favour of an heir. Your wife is an heir to your estate. Thus, you cannot make a bequest in her favour. If you wish, you may unconditionally gift certain assets to her in your lifetime. You cannot postpone the gift to become effective upon your death. Previous Be mindful in your treatment of women! Is it permissible for heirs to accept gold and silver inheritance on which Zakaat was not paid?